Is An Arrest A Conviction? 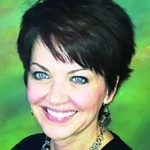 Sally Whitesell is president of sw Service Solutions, which offers in-store training nationwide and Fixed Ops University; engaging online training for managers and service advisors. Sally brings over 21 years of on-the-drive experience to her training, seminars and books, which include her highly sought after “What Drives Women?” program and her book, “Words That Sell Service.” And new for 2019: the ultimate sales tool: the sw Service Solutions Maximizing Menu. Many leaders feel that being professional in their position means being organized, focused and strong. They never let their personal life or emotions enter into relationships with their employees. Although these qualities are important, being an authentic, compassionate and caring leader is equally important. Techniques that coax better performance require a personal touch. Prominent thinkers in the motivational and leadership field, such as Marcus Buckingham, are challenging the traditional traits of great leadership. Their research indicates that leadership qualities have evolved. They believe that leaders should lean more toward authenticity rather than perfection. I couldn’t agree more. Have you ever had one of those dreaded brain freeze moments hit you at the worst possible time? You know what I mean; when you have forgotten something you knew you needed to share and everyone in the room recognized the blank look on your face? Well I did — in a room full of dealers listening to what started out as one of the most enthusiastic, effective presentations I have ever delivered. All of a sudden my mind went blank and my mouth started muttering something that could only be described as talking in circles because I couldn’t find my way out of the loop. Of course, if you know me at all, then you know this led to a moment of humor at my own expense. But then something really great happened as one of the dealers spoke up and said, “We wouldn’t like you so much if you were perfect.” Truer words could not be spoken. I am definitely not perfect. More importantly, we all had a nice laugh and I left with more than one long-term contract. The reason? In one honest moment I became more relatable. One of the most important parts of service advisor training is based on building relationships with our clients in order to make their visit enjoyable enough to create loyalty. What would happen if all of your management team applied the same skills when interacting with your service team? It’s human nature to want to work with people we like and can relate to. As a matter of fact, we not only want to work with them but we want to work harder for them. One of the dealers that I work with has an invaluable habit of walking through his dealership front to back and telling everyone good morning. Sometimes, he would even thank them for just being there or doing a good job. If he knew of some significant event in their lives (and he seemed to know about a lot of them) he would comment on it or shake their hand and congratulate them. One morning, I watched a technician approach him excitedly to share pictures of his new baby. The technician was treating the dealer like he was a member of the family who couldn’t wait to see the new addition. When I asked about it, I found out that this young technician hadn’t even worked there very long. Who wouldn’t want to work for someone who so genuinely values each person who makes up his business? Why do so many of us spend all of our time displaying authority and striving for perfection and leave no room for individuality, honesty and compassion? In this business, most managers feel the need to always be performance-oriented and don’t consider the human element. Many of us have been taught that our personal lives should be left at home and the lines should never be blurred. If someone who was a top producer suddenly falls to the bottom of the board or if someone with a great attitude suddenly becomes quiet or even negative, it’s actually our job to find out why. Too often, rather than sitting the struggling advisor down to find out what’s causing the changes in performance in order to offer solutions and support, we begin to go over reports and numbers. It then becomes more of a performance review, which can cause the employee to retreat even more. Believe me, this person already knows they’re not performing. A more effective meeting would be to talk things out. Find out why things have deteriorated and then offer support. I’ve found that by getting to know each service advisor’s passions and goals — as well as their challenges and areas that need improvement — we can get much more accomplished in a shorter amount of time. It is a much more effective approach than managing by numbers. Usually, just having someone care enough to listen is all it takes to get them refocused on the job. Spending time asking questions and listening is exactly what we teach service advisors to do in order to get to the bottom of what’s concerning your customer. Shouldn’t we lead by example by letting this human element become a part of our management style? It’s a much more effective way to get to the root of the problem and form a plan for recovery, not loss. Now, I’m not suggesting that you become a counselor. And, yes, performance reviews are still an important part of your job. I am, however, suggesting that taking the time to learn more about each individual on your team so they will like, trust and respect you will pay off in a big way. This new approach will promote the desire to be loyal to you and your company. In other words, your employees will be working hard, not because they have to, but because they want to. That can make all the difference. It’s a win-win situation for you, your employees and your customers as you create a unified, happy, work environment. Click here to view more solutions from Sally Whitesell and sw Service Solutions.